The cost of arranging car insurance has been moving upwards in the past year so let’s have a look at some of the factors that may result in your premiums increasing. Some of the things we list you may be able to influence but others you may not. Cars are placed into one of 50 insurance groups with a number of factors dictating which group a particular vehicle is placed in. Dependent upon which group your car is placed in has a bearing on the cost of the cover. If your vehicle is placed in insurance group 1 it will be cheaper to insure than if it were placed in group 50. For instance, a Citroen CI Airplay may come under group 1, an Audi A3 Se may come under group 25 and a BMW X6 M may come under group 50. So, if you are considering buying a car then you may wish to check which makes and models of car come within a particular insurance group before committing to the purchase. 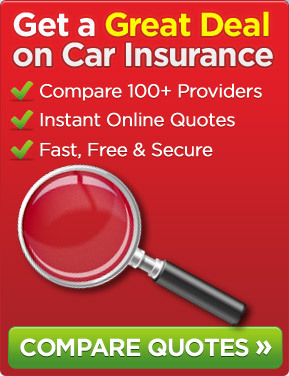 You can then get quotes for a number of different cars to compare the difference in premium. Unfortunately, there is nothing that you can do about this. If you have just passed your driving test and are 18 years of age then you can expect to pay more for your car insurance than if you were 50 years old and passed your test 30 years ago and have no driving convictions. Based upon statistical data, car insurers know where a greater percentage of motorists are likely to have their cars stolen from outside their homes or where you are more likely to be involved in a road traffic accident. Someone living in a street only 100 yards from your home may pay more, less or the same based upon the postcode. What you do for a living affects the premium you pay as insurance companies believe that people in certain occupations are more likely to have a road traffic accident than others. For instance, a GP is more likely to have a car accident than a bank clerk. If you have been caught speeding and received penalty points on your driving license then you are felt to be more of a risk at the wheel than someone who has no points on their license so you can expect to pay more for your car insurance to reflect the additional risk. There are three levels of cover – a. fully comprehensive, b. third party fire and theft and c. third party. The most expensive is often a, as this provides the greatest level of cover, followed by b with the least expensive usually being c.
If you are involved in an accident, claim on your policy and have to pay part of the cost of the repair bill that is known as an excess. You may be able to pay a lower excess that would often result in you having to pay a higher premium. If you estimate that you will drive say 30,000 miles per annum in your car then you may well pay more for your cover than if you were only likely to do say 5,000 miles every year in the car. After all, the person that does six times as many miles each year is more likely to have a car accident. If you use your car for business use as well as social domestic and pleasure rather than purely for social domestic and pleasure then you are felt to be more at risk of being involved in a road traffic accident. We trust that you found the above informative. This entry was posted in News and tagged car insurance, Car Insurance Premiums, Fully comprehensive car insurance, third party car insurance, third party fire and theft car insurance. Bookmark the permalink.